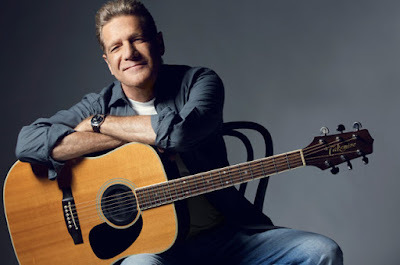 Cindy Frey has filed a wrongful death lawsuit against Mount Sinai Hospital in Manhattan over the January 18, 2016 passing of her late husband, Eagles co-founder Glenn Frey. Reuters reports Frey’s suit accuses the hospital and gastroenterologist Steven Itzkowitz of negligence for failing to properly treat the rocker’s ulcerative colitis, diagnose and treat infection, and advise of the risks and side effects from treatment. Frey is seeking unspecified damages in the suit which, in this case, was filed just two days before the expiration of New York’s two-year statute of limitations for wrongful death cases. State law requires lawyers to consult with doctors in medical malpractice actions before suing, to determine whether cases have merit. In the days following Frey’s passing, Eagles manager Irving Azoff blamed the death in part on the medications he was taking. Frey, Don Henley, Bernie Leadon and Randy Meisner formed The Eagles in Los Angeles in 1971. With few lineup changes, the group went on to become one of the world's best-selling bands of all time with more than 150 million records sold. Frey’s son, Deacon, and Vince Gill joined Henley, Joe Walsh and Timothy B. Schmit in The Eagles touring lineup last year as the group returned to the concert stage; they’ll launch an extensive 2018 North American tour in Indianapolis, IN on March 12.